If you have never seen the David Lynch TV program, Twin Peaks, then go watch NOW! This surreal crime drama, set in a small American logging town, is anything but usual. It is an eerie, disconcerting & extremely addictive classic that you'll never forget. Anyway, enough of the program, it is it's styling we're interested in. This is small town early 90's American fashion, where diner dresses, bulky hand knits & your boyfriends letterman's jacket are your style staples. Watch the program & you'll understand! 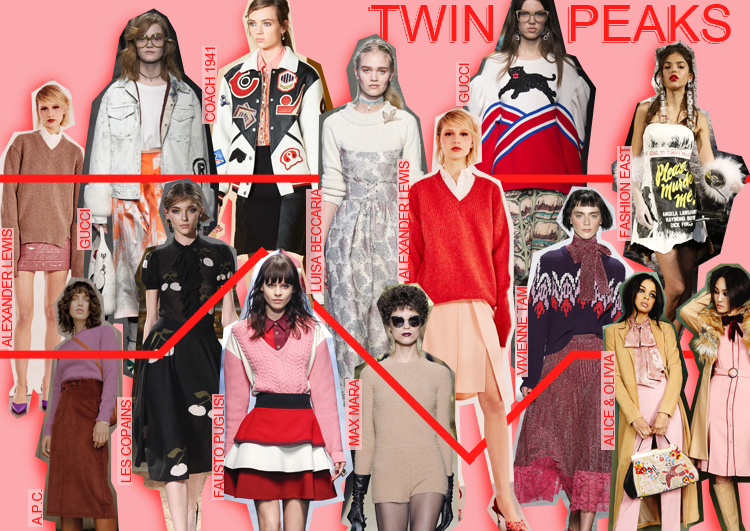 Another TV program where I could see it's styling matching so well with what is on the runway this season. Once again, if you haven't seen... watch! This is more fun, colourful & OTT, but it is brilliant all the same. 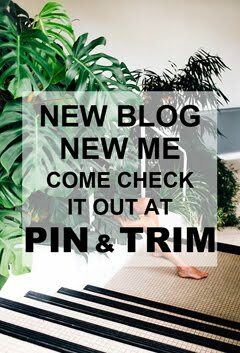 It's time to channel your inner Chanel Oberlin (or inner sorority queen if you still haven't watched) - but leave her attitude at home! 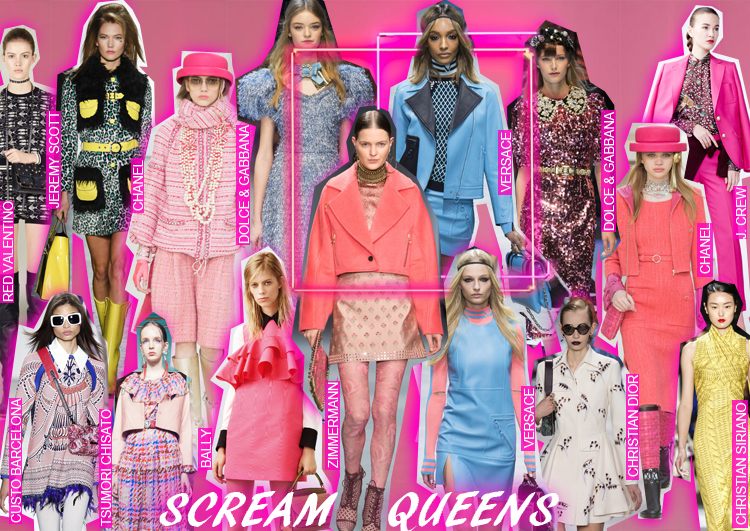 Look for statement pieces, feminine, fun, bright, sparkly, textured... creative-couture-like pieces. Chanel, Versace & Dolce & Gabbana are great to look to for inspiration - they're so rich in concept & individualism. Last but not least of the feminine trends. This is inspired by a certain persona, ladylike, overly feminine & supposedly the epitome of perfection. 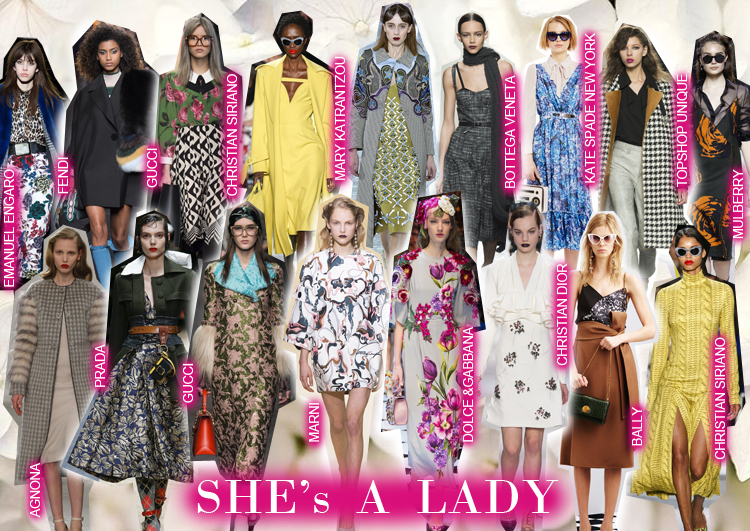 Look out for beautiful feminine cuts, bright florals & prints & detailed embellishments. Complete the look with styling, by adding a dainty bag, statement jewellery & even a pair of cats-eyes sunglasses to really perfect the persona. With the success of Star Wars last year, another film coming out this year & the promise of a fresh new year looming, futuristic minimalism has never been so key! Once again, please refrain from mirrored metallics, sharp silhouettes & robot-like garments. Instead look for subtle hints to futurism & optimism - bright whites, clean lines & beautiful drape. 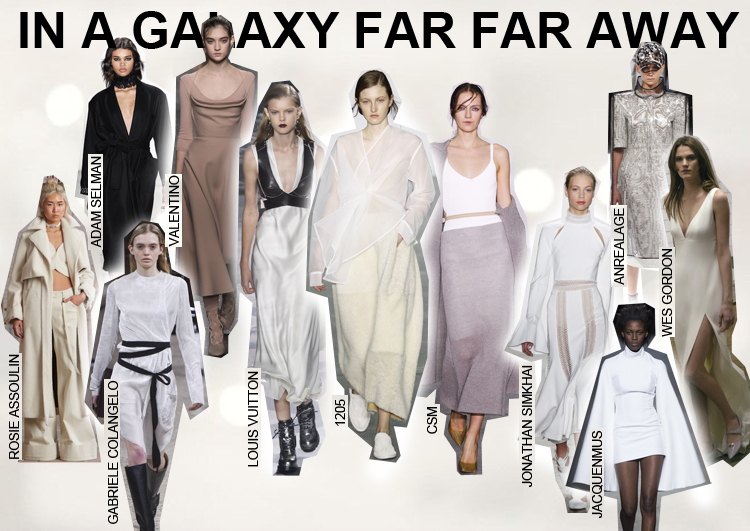 For example Gabriele Colangelo's waist tie, Adam Selman's strong silhouette & Jacquenmus's cape all have nod's towards Star Wars' futuristic styling. Whilst at Valentino & Wes Gordon, the beautifully feminine cuts are reminiscent of Princess Leia's effortless styling. Delicate, decorative & colourful. 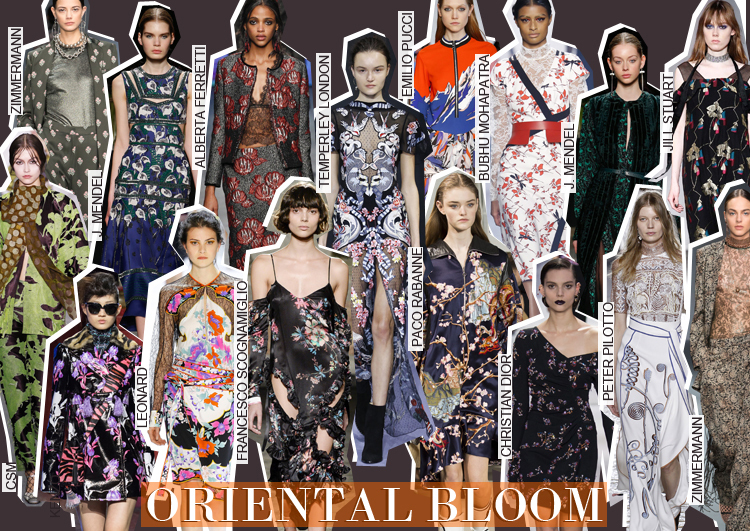 In a season without bloom, the designers have given us a feast of florals to brighten up our wardrobes. Feel free to be as busy or as subtle with your florals as you like, but look to the East for inspiration on prints & cuts, to really capture this trend. 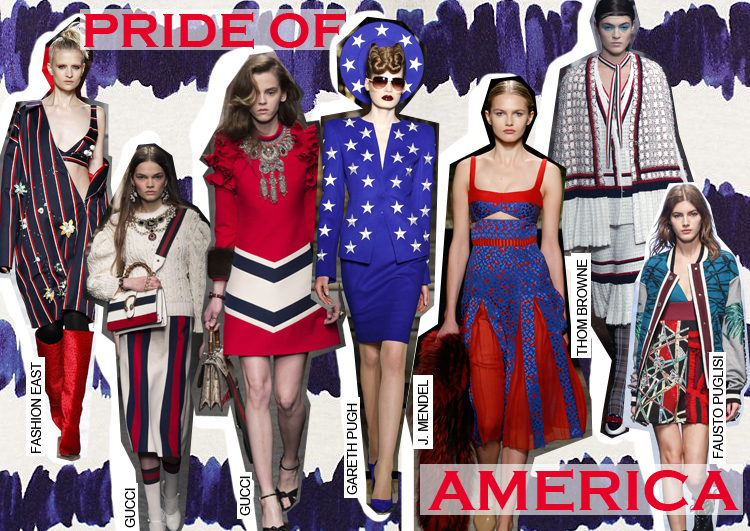 From East to West... A contrast to the delicate florals, we are now looking at the unapologetic American pride. Colour palette - the American flag of course; don't be afraid to clash the colours together, as this look as all about being bold. Naturally stripes are key - from the business man's pinstripe, to varsity prints & slightly more subtle checks. Add some stars in for good measures, or if you want to tone it down a bit, opt for a varsity jacket or a simple colour clash to capture an essence of the trend. Time to head down south now, to celebrate the history of America. 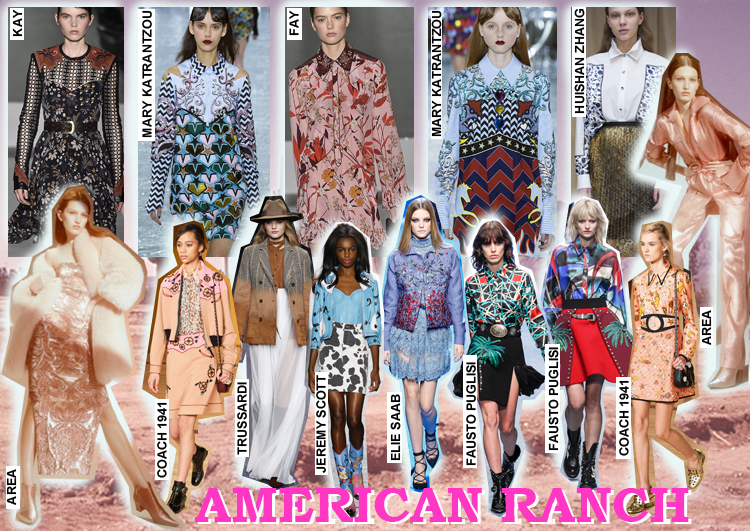 A key detail here is to focus on the cut - like the shirt details at Mary Katrantzou - & mix that detail with print & colour, to create something completely new, that is still obviously inspired by cowboy styling. Fausto Puglisi successfully combines key cowboy detailing with rich colours & print, whilst at Jeremy Scott, the theme is obviously conceptual & playful.